"A keyring should feel good", says designer Klaus Rath. He followed his own opinion creating his new keyring out of polished steel and soft, black rubber. "The contrast between soft rubber and hard metal makes this keyring wonderful to touch for your fingers. With this I hope to offer a pleasant experience to your fingers with the keyring". 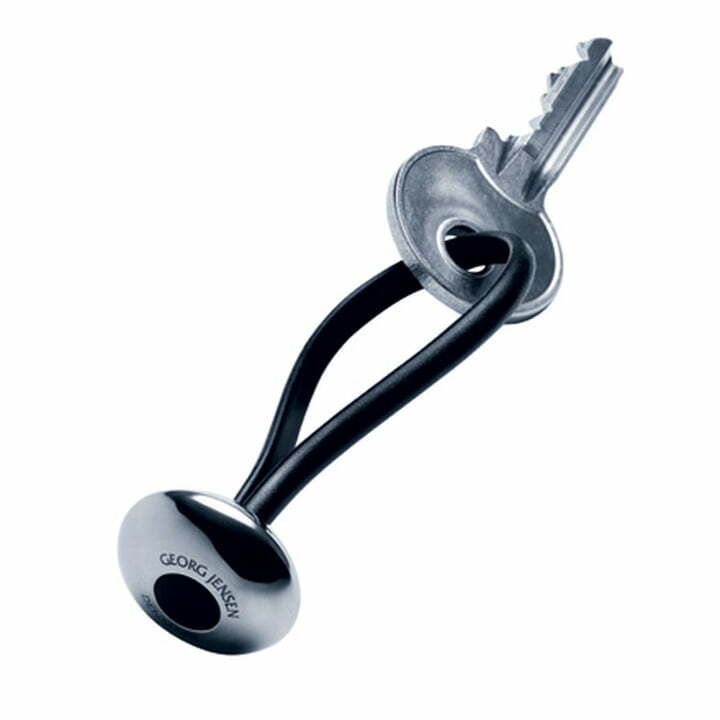 This Georg Jensen keyring however, is not only a great experience with of its tactile qualities; it also spreads communication-effects by the combination of its materials. Gain new confidence with this fantastic keyring and show the world your taste, even for the small things in life.